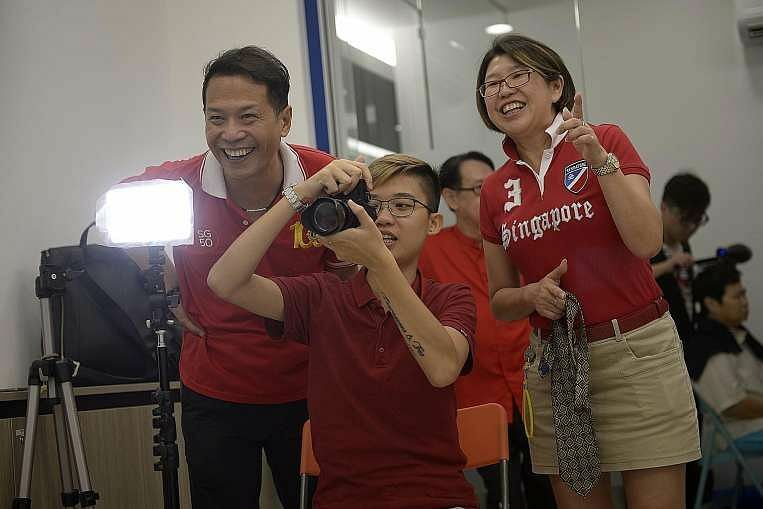 Madam Yong Ng Moi was smiling so broadly it threatened to split her face. 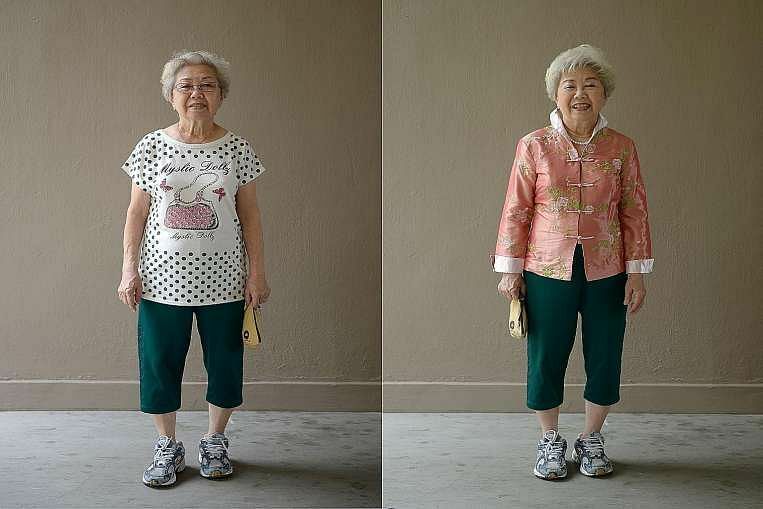 "The last time I had make-up on was during my wedding," the 88-year-old says in between giggles. 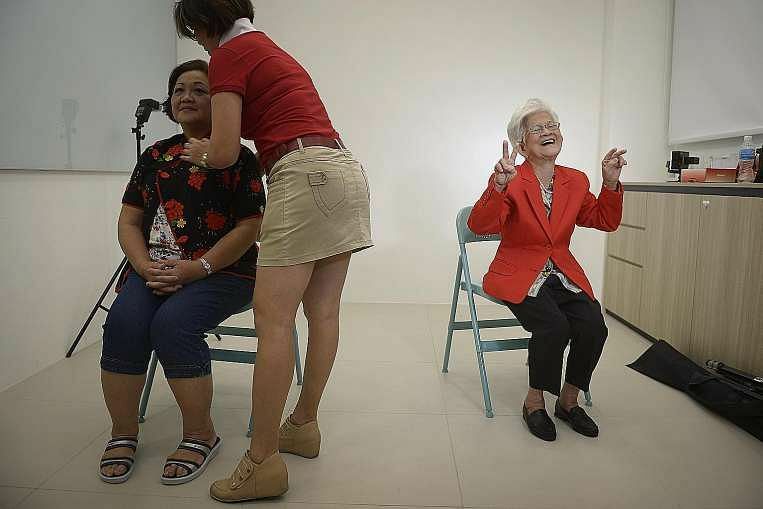 Madam Yong was at the Filos Community Services office in Chai Chee last Friday for a free makeover and photo shoot with about 30 other seniors. The idea for the initiative came about after Ms Johanna Kiew, 47, a financial planner, accompanied her now 70-year-old mother to get her obituary photo taken by a studio. "It gave my mother a boost of confidence and she became positive about life. So I thought that everyone should have the chance to do this too." 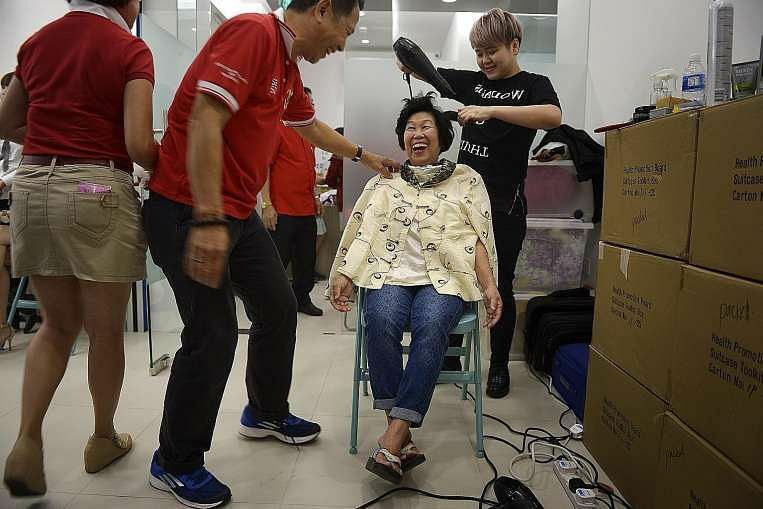 She then rounded up friends to help her and contacted elderly services centres and churches to start free makeovers and photo shoot sessions for seniors. Participants are given a framed copy of the photo. The group, now called Window of Colours, has done three such events since last November, with a fourth one planned for by the end of the year. The sessions are mostly self-funded by the volunteers, with some services provided by professional photographers and hairstylists. 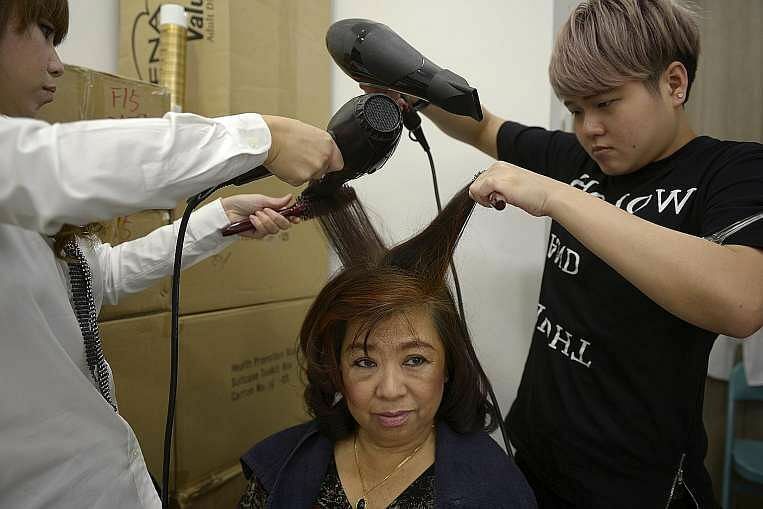 "It's satisfying to make them look more beautiful because we're bringing out the best in people," says the group's co-founder, Ms Sharon Liew, who is also a financial planner. But the taboo still remains. Ms Kiew says the group does not mention openly to the elderly who come that the photos can be used for che tou zhao (Mandarin for photograph for the hearse). She explains: "The more superstitious ones will not go ahead with the shoot if they find out about it. "Some may get offended and shout 'choy choy choy' loudly." 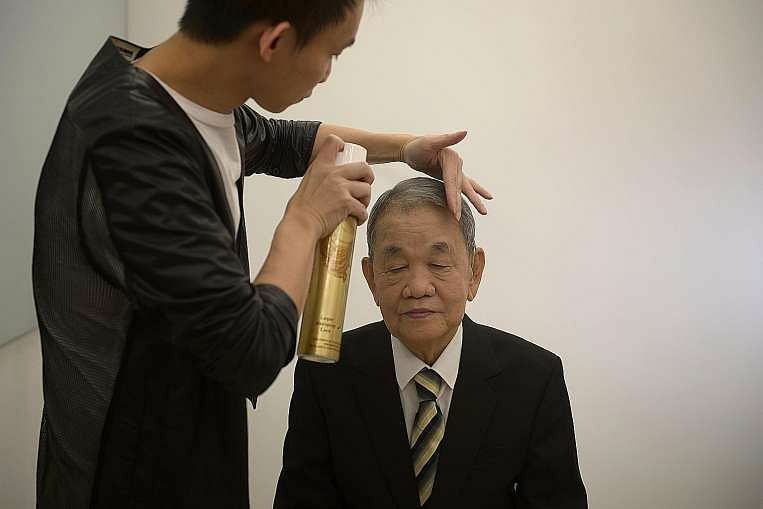 This is when retired businessman and volunteer Lee Guan Tiat takes it upon himself to convince reluctant seniors, most of them younger than him, to sit for the portrait. He tells them: "I'm 79, and if I can do it, why can't you?" Some of the photos taken at earlier events have already been used for funerals, Ms Kiew says. 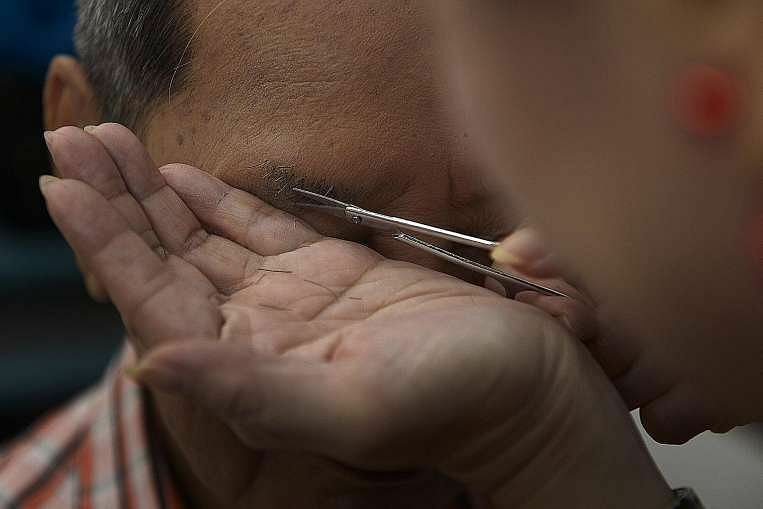 Volunteer photographer Ashley Cheang, 27, says: "I'm sad that they had to use the photos so soon. But I'm glad that, at least, they have nice photos of themselves." While some may view it as macabre, participant Lily Yap appreciates the opportunity to have her obituary photo taken. "I'm not pantang," she says using the Malay word for superstitious. She adds: " This is my first time taking a studio photo. I'm already 64, when will I get a chance to do this again?"